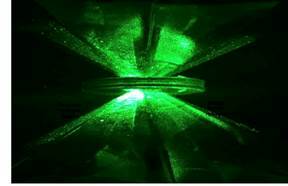 Metallic Hydrogen – a New Area in Hydrogen Storage? Hydrogen – component of the “other” fuel and competing technology to lithium-ion batteries that power our world today. Advantages are obvious when it comes to powering a car since hydrogen can be distributed as a pressurized liquid via fueling stations not too different from the ones we are used to. Hydrogen would remove the aspect of “range anxiety” associated with lithium-ion batteries and their sensitivity to temperature. Alas, even more than lithium-ion batteries, compressed liquid hydrogen is a safety risk as it will burn or explode in contact with oxygen. What if hydrogen was a solid, a metal that could be liquefied only as needed to serve as a fuel component? Isaac Silvera, professor of natural sciences at Harvard University in Cambridge, MA, may have accomplished just that. Tech Metals Insider spoke with Professor Silvera to learn more. “Solidifying hydrogen as such is a very standard and straight forward process”, Silvera proceeds to explain. “If you cool a material from high temperature to low temperature it goes from a gas to a liquid to a solid. If you cool hydrogen down to just under 14 degrees Kelvin it becomes a molecular solid. It was predicted by Wigner and Huntington about 80 years ago that if you then compress it to a sufficiently high density the molecules will get closer and closer to each other and then associate to form an atomic solid. That atomic solid is a metal”. Calculations predicted that the pressure needed would be 4-5 million bars, and that’s what Silvera managed to apply. How was it accomplished? Silvera: “We use a device called a diamond anvil cell, which has been in existence for many decades. It uses a gasket with a hole in it; the hydrogen is in that hole and we press on it with two opposing diamonds. You can see the sample through the diamonds. At lower temperatures hydrogen is transparent like glass, so you can see through it. As we went up in pressure to about 4 million atmospheres, the hydrogen turned black. At a pressure which we determined to be almost 5 million atmospheres, 4.95 million to be precise, it became shiny. When measuring its reflectance we found that it was that of a metal”. 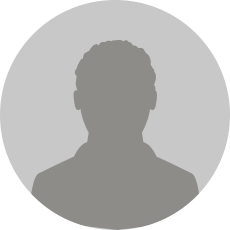 Silvera’s unique achievement is to apply such high pressure on hydrogen. Diamond anvil experiments usually have their limits because the diamonds break. His team took special precautions using knowledge accumulated over many years to prepare their diamonds in such a way that they would withstand such a high pressure, and they succeeded. It has been predicted, theoretically, that hydrogen may be “metastable”, meaning that if you release the pressure it will stay in its metallic form, much like graphite turns into a diamond under sufficient pressure. This hasn’t been shown to be true for hydrogen yet and will be experimentally determined by Silvera and his team in months to come. What if this was shown to be true? Silvera: “We estimate the density of metallic hydrogen to be about 15 times higher than liquid molecular hydrogen. It is possible that if you made a small seed of hydrogen you could then grow it to a larger scale through epitaxial growth, a chemical vapor deposition (CVD) method similar to how you make synthetic diamonds”. The key question, of course, is if molecular hydrogen can be returned into a liquid state, making it usable as a fuel component. Silvera: “There are different predictions concerning this point. If we have hydrogen under pressure in our anvil and we heat it up, then it should eventually go from solid to liquid. But we haven’t done that. Our plan is to eventually release the pressure, and see what happens to the crystal we created. If something is metastable it has what is called a metastability temperature. If something is metastable and you heat it up it will eventually go to its lower energy state, like a diamond that will turn to graphite. 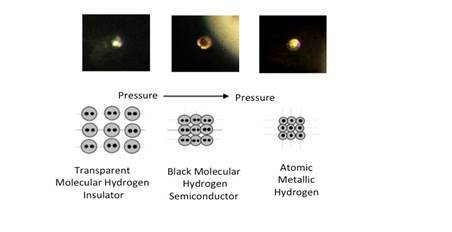 What we will do is cool the hydrogen down to 5 Kelvin, then slowly release the pressure and if it remains as metallic hydrogen we would heat it up until we see it convert to molecular hydrogen. It would disappear then and become a gas”. Luckily, the answer won’t take long as their experiments proceed swiftly. Silvera expects results within a few months, and we will be close to report on their outcomes.